It REALLY gets the wheels spinning in the guests’ head, and gets them thinking back about all of the best things they’ve heard. That makes for a really thoughtful answer. Even though some of the underlying concepts might be the same, every single person has had a different variation of advice. No two pieces of advice have been the same. I always make sure to distinguish that it can be a personal OR professional piece of advice, and funny enough, usually the advice can apply to BOTH. Whether that’s in a personal sense, or professional, the message still hits home. “It’s the concept of having a positive mindset. The power of positivity. I was a pessimist. I was like always disgruntled, you know, why am I not progressing further in my career? Why does my boyfriend make more money than me? And all this stuff. And once I flipped in my mind to seeing the positive aspects of everything, I’m still a realist, but I have an optimistic mindset today, that changed everything for me”. Clearly there in Blair’s example, having a positive mindset affected both personal and professional hurdles she was facing at the time. As long as you’re happy, where you are in your career, or in your personal life, should be enough. All of these examples can be applied to pretty much every aspect of your life — whether it’s your relationship with a family member or significant other, making financial choices, or making career choices. I was recently interviewed for the podcast this week, and Casey walked into my office after listening to the episode and said “so what’s YOUR best piece of advice?” It got me thinking. My first reaction to Casey was “well you stole my answer!” The piece of advice my dad gave us all those years ago, mentioned above, really IS my favorite piece of advice. But that’s taking the easy way out of the question. If you can do that, you’ll find your days go by a lot easier. So – let me ask YOU: What’s the best piece of advice you’ve ever received? 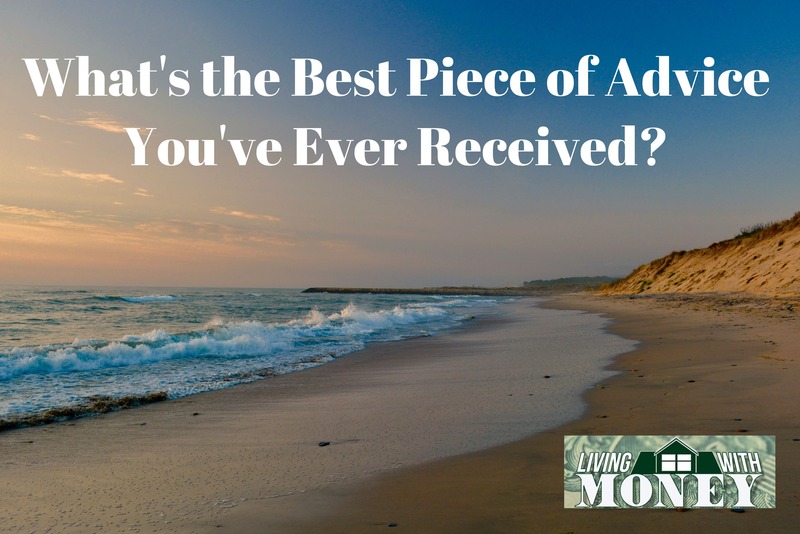 Let me know in the comments, on Twitter (@TimMulloolyMAM), or via email tim@livingwithmoney.com.